As March approaches, springtime isn’t the only thing descending upon New York City – dancers are flooding NYC streets and stages this month as many spring seasons and festivals kick off in the coming weeks. Whether you’re a flamenco fan or a ballet buff, there’s something for everyone happening in dance this month. Read on to see some of the shows I’m most looking forward to in March. In March, New York City plays host to two festivals celebrating international dance. Flamenco Festival 2014 kicks off at New York City Center on Thursday, March 6th and continues through Sunday, March 9th. The festival features some of the greatest members of Spain’s flamenco community, including the legendary dancer Eva Yerbabuena and the modern master Karime Amaya, the grand-niece of Carmen Amaya. The festival features three different programs: the Gala Flamenca, with a mixed program of four contemporary flamenco acts; ¡Ay¡, Yerbabuena’s return to the stripped down solo form for which she is so celebrated; and Lluvia, Yerbabuena’s latest group production for herself and four fellow dancers that has been praised as the best production she’s made to date. The festival also offers a free flamenco lesson to ticket holders before the shows, as well as Spanish tapas and wine in the lobby. At The Joyce Theater, it’s all about Brazil for the first half of March. For this multi-week Brazil Festival, the theater has a stellar line-up of Brazilian dance makers on the schedule for February 26th through March 16th. Up first is the beloved Mimulus Companhia de Dança, presenting their evening-length work Dolores, based on the characters from Pedro Almodóvar’s movies (Feb. 26 – Mar. 1). Next up is Companhia Urbana de Dança, performing two hip-hop and b-boy inspired contemporary works for their Joyce Theater debut (Mar. 3-6). Companhia Urbana is followed by Focus Cia de Dança, making their U.S. debut with As canções que você dançou pra mim (The Songs You Danced For Me), set to the romantic song stylings of famed Brazilian singer-songwriter Roberto Carlos (Mar. 8-10). Finishing up the festival is DanceBrazil, one of Brazil’s most established dance companies known for their fusion of contemporary dance with traditional Brazilian styles, presenting a program of three works, including two world premieres (Mar. 12-16). Multiple dates and times. Click the linked text above for more information. Another proponent of City Center’s exciting spring programming is one of America’s most influential groups, the Martha Graham Dance Company. This season focuses on works of “Myth & Transformation,” and features three multi-work programs. Though the company still performs many of Graham’s works, they’ve also made a concerted effort to modernize and keep up their image as in innovative modern company by commissioning some of the world’s most prestigious contemporary choreographers, and this season certainly reflects both of those artistic pathways. The first night’s Opening Gala celebrates Graham’s fascination with ancient Greek art and literature with a performance of excerpts from Clytemnestra and the world premiere of Andonis Foniadakis’ new work for the company; this program returns on the 21st with Maple Leaf Rag added to the program. Later in the week, Nacho Duato’s latest work also receives its world premiere, alongside Graham favorites Appalachian Spring and The Rite of Spring. 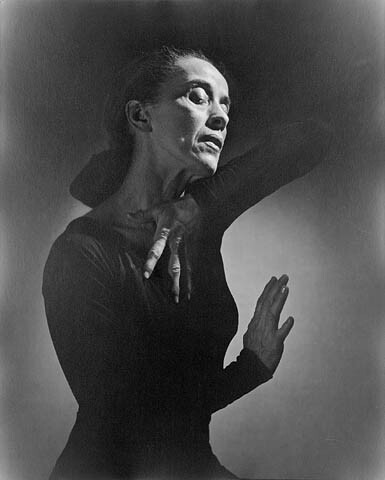 Whether you’re life-long fan of Graham’s dramatic stagecraft or you’re new to the works of the 20th century modern masters, it’s impossible to go wrong with this selection of works created by “the mother of modern dance” herself. He may be 83, but age is only a number to Paul Taylor. The legendary choreographer is still at it (though he has thought about how to ensure the company continues for “at least another 60 years”), creating two new works for his beloved company’s Spring Season this March at the David H. Koch Theater at Lincoln Center. The Paul Taylor Dance Company’s three-week run begins Wednesday, March 12th and goes until Sunday, March 30th, meaning there’s absolutely no excuse for missing out on seeing this dynamic bunch. A wide variety of Taylor works from his 60 year long career will be performed, including the whirling masterpiece Esplanade and the dramatically amusing Cloven Kingdom. Click the link above for a complete listing of works and programs. The Joyce Theater’s spring programming is packed with contemporary ballet companies, and it’s a good thing that Alonzo King LINES Ballet is on that list. The company is known for King’s lyrically beautiful choreography, danced by gloriously tall dancers whose limbs seem to extend in endless, well, lines (excuse the pun). For their return to The Joyce, LINES Ballet will present King’s 2012 work Constellation, which features a special lighting installation by electronic artist Jim Campbell that changes how the audience views the dancers throughout the piece. Set to a mixture Baroque and contemporary music, the performances at The Joyce will also feature special guest artist Maya Lahyani, a mezzo-soprano with the Metropolitan Opera. As I’ve written about before, the Barnard College Department of Dance has a long history of bringing students into the studio with some of New York’s most celebrated emerging and established choreographers. This month, two wonderful dancemakers that I’ve had the honor of working with during their residencies at Barnard are presenting the world premieres of their latest evening-length shows, and I’m very exciting to see what they’ve been working on since our time at Barnard. First up is Faye Driscoll, a Bessie award-winning choreographer whose quirky, physical, theatrical works are acclaimed for being both very new and very real. I was first introduced to Faye’s work a few years ago, during a work-in-progress showing at Zenon Dance Company in Minneapolis for the new work she was making for Zenon’s dancers. When I saw her piece for Zenon, Mariana, in the studio, I had never seen anything so visceral and so surreal: the dancers ran and around, passing an imaginary ball, yelling and cheering at their pretend athletic prowess, and ended with them singing a beautifully harmonized a cappella version of Pixies “Wave of Mutilation.” At the time, the piece was the most “out-there” dance work I’d seen, and as a viewer, I felt like I wasn’t watching a performance, but that I was watching a private snippet of these dancers going about their day in some alternate-reality real life. When I later heard she would be auditioning dancers at Barnard for a new piece, I immediately knew I wanted to get to know her work better. What I remember best from working with Faye was the feeling of overwhelming personal awareness – every muscle movement seemed to be accounted for, right down to the corners of our mouths – that made the execution of the work foremost an act of performing for myself and my fellow dancers, and incidentally a presentation for the audience. For her new work, Thank You For Coming, Driscoll and her group take over Danspace Project at the Judson Memorial Church to showcase their exploration into the nuances of performance (as an act) and the ways our individual bodies all contribute to something much bigger than ourselves. Faye Driscoll’s Thank You For Coming will be performed March 6-8, 11, and 13-15, at 8:00pm, at Danspace Project (131 East 10th Street at 2nd Ave in the East Village). For more information, visit the event website or call (212) 674-8112. Tickets can be purchased online here. Later in the month, Beth Gill, also a Bessie winner, will present the finale version of her latest work New Work for the Desert at New York Live Arts (a work-in-progress version was presented earlier this year during the Live Artery mini-fest at NYLA). Beth is known for making incredibly detailed work, and while I was working with her at Barnard, she often made me feel that each movement could be its own microcosm of a million individual parts. What stands out to me in Beth’s work, both from what I’ve experienced as a dancer and seen as viewer of her other pieces, is its extreme visual clarity. Her Electric Midwife is one of my favorite pieces – the premise is so simple (three dancers on each side of the stage perform the same movements in perfect symmetry), but to execute this movement perfectly (for Beth will accept nothing less) is so impressively difficult. After being named a 2012-13 City Center Choreography Fellow, Beth has been gaining momentum in her choreographic career, and I’m very excited to see what New Work for the Desert will look like. Visually inspired by the vast yet dramatic landscape of deserts, Beth’s new work will turn NYLA’s black box into a reflective white box, leaving the dancers to make their way through this rigorous environment while still staying true to their movements and desired expressions. Beth Gill’s New Work for the Desert will be performed March 19-22 at 7:30pm at New York Live Arts (219 W. 19th St in Chelsea). For more information, visit the event website or call (212) 691-6500. Student and senior discounts available. Last but certainly not least, spend the last weekend of March uptown at Barnard College, where the Columbia and Barnard senior class will be presenting their Senior Projects in Dance on Friday, March 28th and Saturday, March 29th. This years thesis projects include a mix of both original student choreography and commissions from New York choreographers. To complete a degree in Dance at Barnard, students must complete both a written thesis in the Fall semester and a creative project in the Spring semester. For my creative project, I’ve commissioned Bill T. Jones/Arnie Zane Company dancer Jenna Riegel to create a new work for me and a fellow dance major, Hana Goldstone. Jenna’s piece explores different representations of women, and the various assumptions that accompany those stereotypes. The choreography ranges from big traveling phrases to minute moments of footwork, and it has been absolutely wonderful to work with Jenna these past few months. A few of my classmates are hoping to turn their thesis projects into more elaborate works after graduation, so this is an excellent opportunity to see a first iteration of what very well may be going up around NYC in the coming seasons! The Barnard Dance Department Senior Thesis Concert will be performed on March 28th and 29th at 7:30pm at Minor Latham Playhouse on the Barnard Campus (campus entrance at W 117th Street and Broadway). For more information, visit the Barnard Dance Department’s website. General admission tickets are available at the door; please arrive early as seating is limited.